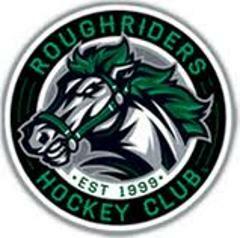 Northern Colorado Youth Hockey (NCYH) is a proud affiliate with the Rocky Mountain RoughRiders, a AAA hockey association under the North American Prospects Hockey League (NAPHL). 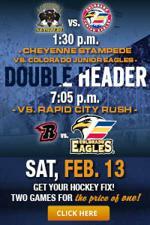 Formerly known as Team Rocky Mountain (TRM) AAA Hockey, the team joined the Cedar Rapids RoughRiders of the United States Hockey League (USHL) in fall 2010. 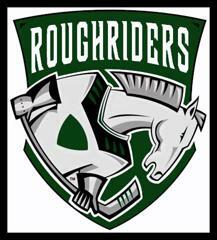 The Rocky Mountain RoughRiders were founded in 2009 by the Arvada Hockey Association, Boulder Hockey Club, Hyland Hills Hockey Association, and Northern Colorado Youth Hockey in an effort to provide youth hockey players the opportunity to compete at the Tier 1 AAA level in NAPHL. Rocky Mountain RoughRiders has 4 teams -- U14, U15, U16, and U18. In addition, they host AAA spring teams made up of players from Northern Colorado Youth Hockey (NCYH), Arvada Hockey Association, Boulder Hockey Club, and HIghland Hills Hockey Association. To learn more about them, click here to go to their website.